Never been diving before? No problem! 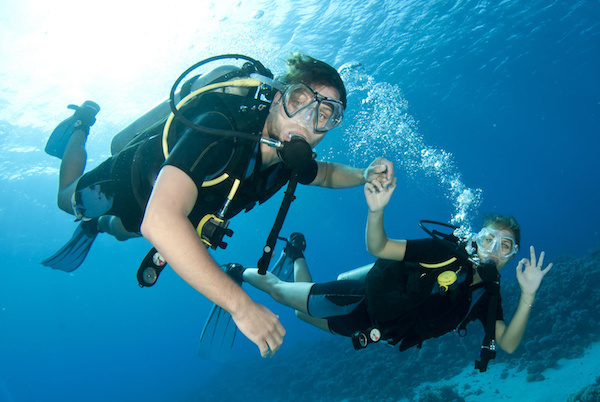 The Discover Scuba Diving course is a one-day program designed to introduce you to the underwater world while using safe practices and minimal training. 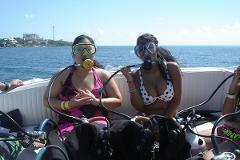 Scuba diving is a quick and easy-to-understand activity. Your instructor will start by teaching you a few essential skills in shallow water. Once you master those skills and feel comfortable, you will then make your dives accompanied by your instructor. 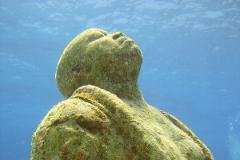 Isla Mujeres offers different easy diving locations all just a few minutes from the island. 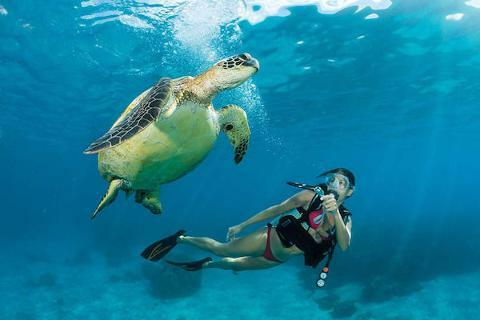 Within the National Marine park, you may choose to explore the Manchones Reef where sea life is abundant. Manchones Reef also holds the world renowned Underwater Museum, MUSA, a collection of more than 500 human sized sculptures that were created with the intention to protect the reef and stimulate coral growth. The museum is also called the Silent Evolution due its eventual transformation into a complete self sustaining reef ecosystem in the near future. Today's the museum provides protection for many species and represents a symbol of environmental consciousness. Please note that this is NOT a certification course, it is an introductory program permitting you to experience scuba diving. If you enjoy this experience and are interested in becoming a certified diver you will need to sign up for a PADI or SDI certification course at our Scuba Diving section. Attention this is a Shared Boat Trip!! If you require a Private Trip at any date, please contact us directly to reserve the boat!! IMPORTANT: We are at the mercy of the sea and weather conditions as well as diving may be challenging for some people,. Locations may vary based on weather conditions and visibility. We highly recommend to stay at least two days on the island for a better weather window. EQUIPMENT: All dive equipment is included in the price. Beginner Discover Diving - Dive in Manchones Reef and the Underwater Museum MUSA!